C Street looking East. OL #4, OA # 4. Description Appears to be a copy 147a. Same image as 147a, b & c. Negative filed with photo. 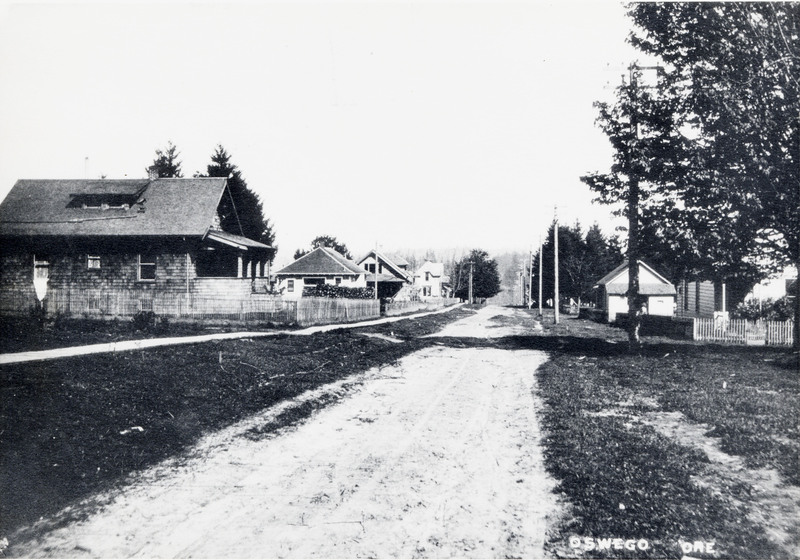 [imprinted on front]: Oswego, Ore. Information from 147a: Peter Spir: ""That is a photo of my house at 449 C Ave....""
Transcription C Street looking East. OL #4, OA # 4.